After much fiddling with my new EQ7 software, I finally have templates for my Wonky House block that are ready to share and download! You may remember this block from my massive Stash Bee block catch up from last month. Pauline requested wonky houses for her month back in February and I definitely hesitated as I've mentioned before that I don't do wonky very well. A lightbulb went off and I thought to design a paper piecing "wonky" pattern with EQ7. This way I could have my cake and eat it too...the block would be perfectly wonky...with the bonus of crisp template lines to follow along with. I'm not going to share a tutorial for paper piecing in general, as there are several awesome ones out there in blog land, and why reinvent the wheel. 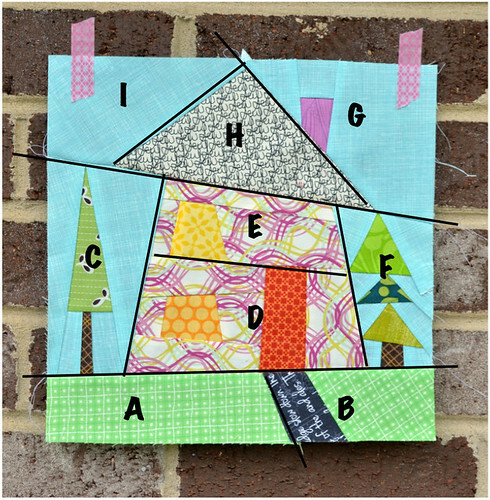 If you have never paper pieced before, or need a refresher, check out Faith of Fresh Lemon's Quilts Paper Piecing Tutorial her's is my favorite! 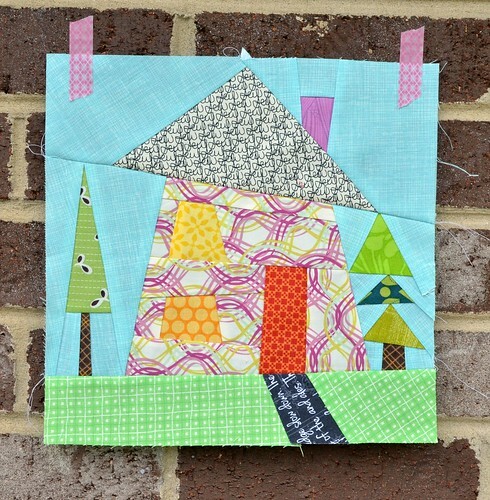 The Wonky House Paper Piecing Templates can be found here. Block size is 12.5" unfinished, or 12" finished. Please download the file to your computer before printing the templates, as I've found the block sizing to be off when printing directly from Google documents. Cut out all template pieces and paper piece using the numbered sections on each template. Once all your sections are pieced, use the above diagram to assemble your block. Please note sections A, H and I are single fabric sections. Due to the size constrictions of fitting the template pieces onto standard 8.5" x 11" paper for printing, this was the only option. Also, please note that the above finished block is a mirror image (read: backward) of the template pieces. Once your block is pieced, admire your work! Also be sure to add it to the SewCraftyJess Flickr group, as I'd love to see your interpretation! 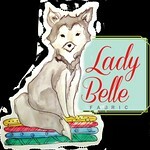 I had been in the market for quilt design software for some time now, and had deliberated between several options. I have used the TouchDraw app for my iPad thus far for quilt patterns and tutorial illustrations, which has worked great, but I really wanted something to help design paper piecing templates. I checked out jumping in with Adobe Illustrator, but ultimately thought that might be a little more than I really needed (and pricier too! 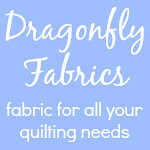 ), as well as checked out a few online quilt design options including Thread Bias' Quilt Design Tool, but decided that I wanted something that would be downloaded to my computer and not require a monthly subscription fee. After ruling out these options, I settled on Electric Quilt's EQ7. After receiving my software in the mail (I ordered from Fat Quarter Shop) I spent quite a bit of time reviewing the users manual for EQ7, learning the ins and outs of the software, as well as watching the demo videos and tips that are built right into the software. I also purchased the book EQ With Me: Pieced Drawing, as I was still a little unsure of the best way to use the software to design blocks that I had in mind. I can't say enough good things about this book. It takes each of the modes available in the EQ7 software and teaches you how to use them via a multitude of step by step tutorials (lessons) detailing how to construct various blocks of assorted difficulty. If I had known about this book from the beginning, I would have skipped the users manual and dove right into the lessons, as I'm a hands-on learner. So far, there hasn't been a quilt block I've come up with that EQ7 couldn't design, or a quilt layout that didn't easily come together. I'm also a huge fan of the ability to import fabric swatches to get an actual image of what a quilt will look like with certain fabrics. As for the cons, my main dislike is the lack of instruction within the software and users manual itself for using each function to actually construct quilt blocks. Maybe its just me, but I find its one thing to understand how a tool works and another to apply that tool in a string of 9 other tools to make a finished product. Now as mentioned before, the EQ With Me book completely did this for me, but after spending all that money on the software, its understandable to not want to spend another $30 on a book to learn how to use the software. One of the main reasons I wanted this software was to design paper piecing templates not only for myself, but to share with all you lovely readers. While EQ7 makes the designing aspect of this incredibly easy (once getting the hang of things), it doesn't make the sharing part easy at all. I found (and confirmed) that there is no way to save the resulting pages of paper piecing templates as an image document or PDF in the software. While this is no big deal if only making templates for yourself, but it poses a huge problem if planning on sharing the templates as a download with others. There is a way around this, I used Shape Moth's suggestion of installing a free PDF creator (I downloaded this one for free and it works like a charm) that lists itself among your printer options, so instead of printing the final copy of paper piecing templates via a printer, you can "print" them by selecting the PDF creator from the drop down printer selector which then results in PDF pages to save to your computer that are ready to download, instead of printed pages. Let me make myself clear, most of my gripes I have have nothing to do with the actual function of how the software works to design quilts and quilt blocks, but instead are with the little extras that would help with the finishing stages of publishing and sharing paper piecing templates. Perhaps this is where I should have considered Adobe Illustrator (and its heftier price tag) for publishing purposes, but in case you perhaps are considering EQ7 for the same reasons, I thought I'd share my experiences. On the whole, I can't say enough good things about this software and its ease of use, and only a minuscule amount of gripes, which for the most part I have been able to navigate around. I definitely give it a two thumbs up, which if I had to purchase again, would do so in a heartbeat! Disclaimer: I have not been paid in any way for this review. 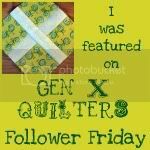 It is simply an unbiased review of my thoughts and impressions to share with others who may be in the market for quilt design software. Good to know about the sharing thing on EQ7 - I have Illustrator, maybe I'll just stick to that! thanks a lot for the house pattern! cutey cute cute, I love it Jess!! I will definitely have a go and upload to Flickr. Thanks so much for sharing the pattern! Have a great weekend. Thanks for sharing your wonky house template! Hi! The F block has 2 errors in it in the way the sewing lines are drawn. The line for ;F7 should continue straight instead of stopping at the F5 line. The line for F10 also should be drawn straight down through F8. Otherwise you have 2 weird Y seams that don't really work. Thanks for the pattern. It's really cute. I'm unable to get the templates for the house pattern to download. Suggestions? Mommy. Wife. Quilter. Fabric addict. I find joy in squeezing in at least a few moments of sewing, quilting and creating each and every day. 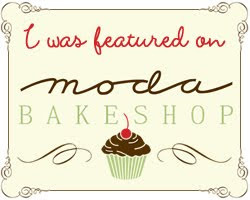 Stop by and see what I'm up to! All content including photos, text and tutorials on this site are property of Jessica Kelly unless otherwise noted. You do not need my permission to use my photos, quote what I say or talk about what I do, but please, pretty please credit me where appropriate by linking back to this blog. It's perfectly fine to sell individual items you made based on my designs, tutorials or patterns, but please do not reproduce or sell the patterns or tutorials themselves. Use of my photos for commercial purposes is not permitted. Thanks!